Deneka Thomas, one of four TT young people selected as 2018 Women Deliver Young Leaders. Photo courtesy Cutis James. TT’s Deneka Thomas, Jennan Paige Andrew, Élysse Marcellin and Khadijah Pierre have been selected as 2018 Women Deliver Young Leaders. The programme provides an opportunity to get training and access to funding through Women Deliver, one of the world’s largest gender equality and women’s sexual and reproductive health advocacy organisations. The four are among 300 chosen from some 3,000 applications from around the world. The resulting group includes people from 121 countries. Women Deliver announced it on February 27. They “selected all the Young Leaders for their potential to have a lasting impact on the lives of girls and women,” Women Deliver said in a media release. “As a group, they have already driven tangible progress on a wide range of issues, including sexual and reproductive health and rights, LGBTQ+ rights, peace and security. 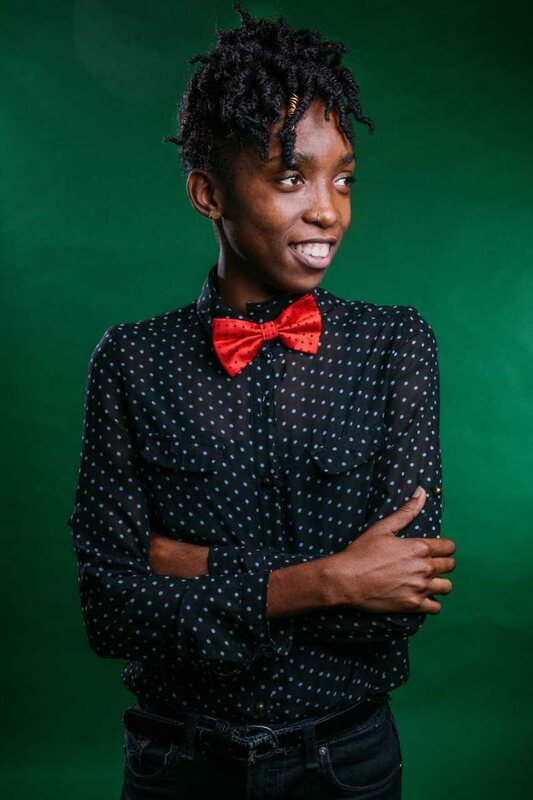 One of the 2018 class, Deneka Thomas is “a poet, writer and advocate for gender equality, women empowerment, environmental awareness and LGBTQIA rights,” she said via email on Tuesday. Kizanne James, a 2016 Young Leader, said on Monday in an interview from India where she was travelling for work, “Women Deliver has been really pivotal to my career.” Last year the medical doctor and Chevening Scholar was named one of the “120 Under 40: The New Generation of Family Planning Leaders” by the Bill and Melinda Gates Foundation’s Institute for Population and Reproductive Health at the John Hopkins Bloomberg School of Public Health in Baltimore. James is known for her work using mobile technology to provide sexual and reproductive health information for young people. She’s given a TEDx talk about it, and led a number of initiatives, including the Think Family Planning Caribbean-wide campaign that held youth forums in various Caribbean countries reaching 34,259 people. James credits the Women Deliver Young Leaders programme with building her abilities. “It provided such a solid platform of training and experience that it would develop any young person into a well-rounded and capable leader regardless of the sphere they work in”. Reply to "4 from TT chosen as Women Deliver Young Leaders"